The waters of southern Montana's Bighorn River have long drawn those seeking respite and room to back cast. Just outside of Fort Smith, Montana, Forrester's Bighorn River Resort isn't near big tourist attractions or bustling towns and that's just the way its admirers like it. Among the country's most distinguished sporting lodges, Forrester's is the only resort that holds all four Orvis endorsements - wingshooting, fly-fishing, lodge, and outfitter and expedition. Forrester's offers a variety of sporting packages, from two- to six-day fishing and hunting packages to 'Sportsman's Packages' that include Orvis-endorsed guides, hunting dogs, gourmet meals and accommodations for fishing, hunting or a combination of both. Forrester's also has an exclusive license to outfit horse-pack, Jeep and hiking trips into the Cloud Peak Wilderness for day, overnight or multi-day fishing expeditions in the area's clear, mountain lakes and streams. From the moment you arrive at Forrester's, you'll know that you chose the best location. The Bighorn River boasts 7,500 trout per mile and Forrester's has private access to the finest stretch - the upper 3/4 mile across from the Breakfast Hole. We also offer unparalleled hunting access for Ringneck Pheasant, Sharptail Grouse, and Hungarian and Chuckar Partridge on the finest 110,000 acres of the Bighorn Valley. Owners Nick and Francine Forrester have worked hard to create an experience that combines ambiance with adventure. In addition to location, Forrester's also offers the best in accommodations. 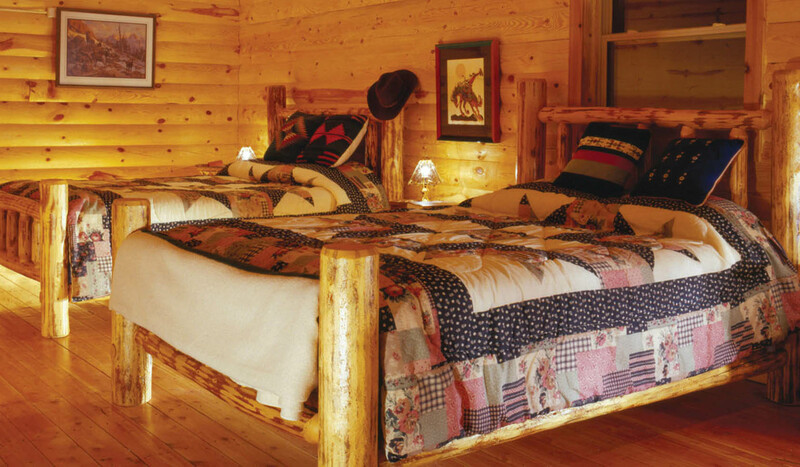 Guests' private log cabins are a mere stone's throw from the banks of the Bighorn and comfortably outfitted with 'real world' luxuries and conveniences including wireless Internet. Forrester's magnificent log lodge includes a pro-shop and gourmet dining room where Francine's international culinary training inspires menus that are delectably unforgettable. Following dinner, guests can retreat to the lodge's large porch overlooking the river. So whether it's staying at the best spot on the Bighorn, the triumph of holding a 22-inch rainbow before the camera or bagging your limit of game birds, Forrester's Bighorn River Resort -- where Montana keeps her promises.